Can Nerve Renew Help Cure Neuropathy Pain? Neuropathy is a complicated condition. It's complex because it is caused by so many different factors and comes in so many different forms. Since there are many types of neuropathy, it can be difficult to say that there's a definite cure for the condition. The truth is that some types of neuropathy can be reversed. Other types can be slowed down considerably, but the damage to the nerves remains. Finding a treatment that works and that helps ease the pain is often the best option for many people. Often the first treatment option for neuropathy is figuring out the cause of the nerve pain, then treating that cause. One of the easiest forms of neuropathy to reverse is the type caused by a vitamin deficiency. Several vitamins play an important role in protecting the health of the nerves. They are vitamins B1 and B12, as well as vitamins B2, B6, D and E. A number of things can cause a person to become deficient in those vitamins. For example, vegans often have to make a special effort to make sure they get enough vitamin B12 in their diets. Only animal-based foods, like meat, cheese and eggs, naturally contain B12. People who follow a purely plant-based diet need to find B12 from other sources, such as supplements or fortified foods. B12 plays a big role in the development and health of the nerves. Recent studies suggest that nearly 42% of the population has some degree of vitamin D deficiency. Vitamin D is found in food, but an easier way for people to get it is from sunlight. People who don't spend time outdoors or who have a darker complexion have a tougher time getting the vitamin D they need. Low levels of vitamin D are likely to increase a person's risk for developing nerve pain. Alcoholics often have an increased risk for vitamin deficiencies. Alcohol messes with the body's B1 levels, leading to a deficiency in that vitamin. Many people who abuse alcohol also don't eat a healthy or balanced diet, increasing their risk for deficiencies. Reversing neuropathy caused by a vitamin deficiency means acting quickly enough to improve the deficiency. Even if a person doesn't raise his or her vitamin levels fast enough to prevent considerable nerve damage, taking supplements can help treat the condition and ease any pain. Nerve damage is also occasionally caused by exposure to a toxic substance or to certain medications. People undergoing chemotherapy often experience neuropathy, for example. The good news is that once the medicine is stopped or once the toxin is removed from the body, the neuropathy often goes away. In many cases, slowing the progression of neuropathy is the answer. 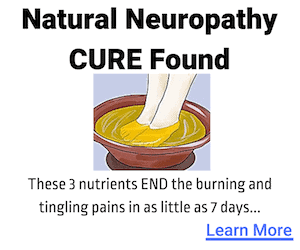 There's no real cure for diabetic neuropathy, for example. The best option is preventing it by monitoring and controlling diabetes. But many diabetics are beyond that point. The good news is that there's still hope. Getting blood sugar levels under control can help pause the progression of neuropathy. It's the high blood sugar levels that lead to nerve damage in the first place. Bringing the level of blood sugar down can lower a person's risk for further nerve damage by about 60%, according the National Institute of Diabetes and Digestive and Kidney Diseases. You don't want to lower your blood sugar levels too quickly, though. A rapid drop in blood sugar can actually make any nerve pain worse. There are a number of ways to slowly bring down blood sugar and slow down the progression of neuropathy. Eating a diet that's full of whole grains, vegetables and fruit, and lean protein and dairy helps blood sugar return to normal levels. Your doctor might also prescribe medication that helps keep your blood sugar levels in check. If the damage to your feet from neuropathy isn't too severe, your doctor might also recommend exercise to keep your blood sugar levels down. Diabetes isn't the only medical condition that causes neuropathy, although it is the most common. If your nerve pain is connected to another health problem, such as rheumatoid arthritis, shingles or Sjorgren's syndrome, treating and controlling those conditions helps slow the progression of neuropathy. No one wants to hear that there's no real cure for their pain. The good news about neuropathy is that many people have found a way to minimize discomfort and ease their symptoms. 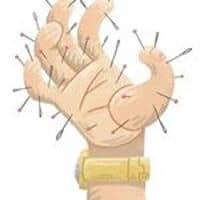 Protecting the nerves is important for controlling, reversing or slowing down neuropathy. It's also essential for relieving the pain associated with the condition. Often, the advice doctors give patients dealing with neuropathy is to “live with it.” If the underlying condition is under control, but the pain persists, many doctors assume there is little else they can do to help their patients. They might prescribe medications, but the side effects from those medicines often outweigh any benefit they provide. But people have found ways to get relief after years of pain. Many have turned to vitamin supplementation. They get B12 shots and take vitamin B1 and vitamin D pills. 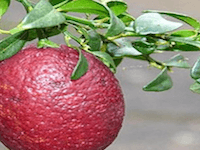 Many have discovered the benefits of alpha lipoic acid, an antioxidant. Numerous European studies have shown that alpha lipoic acid helps reduce neuropathy symptoms. There are many ways people can get their vitamin supplements. The more expensive and time consuming option is to purchase separate pills for each vitamin. People who have done this have ended up paying thousands per year, just to get some relief. Another option is to get the vitamins, antioxidants and herbs that help reduce neuropathy symptoms in one pill. Nerve Renew contains special forms of vitamin B1 and B12 that are more readily and easily absorbed by the body. 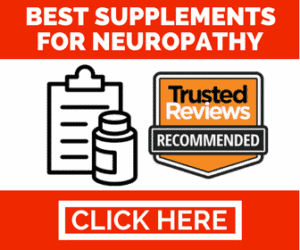 It also contains a more stable form of alpha lipoic acid, plus vitamins B2, B6 and D.
The product makes no explicit guarantee to cure your neuropathy. However, it may reduce the symptoms to a degree where it seems as though you no longer have the condition at all. 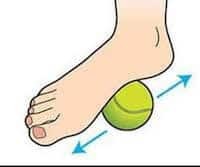 Thousands of people have tried it so far and have seen considerable improvement in their neuropathy. The pain has gone away, the numbness has faded and their qualify of life has greatly increased.